The ISO file is a widely used Disk file format for installing different bootable operating systems. 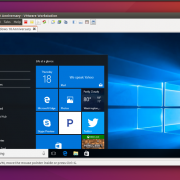 Although you can use directly the ISO file to boot any OS on VirtualBox, HyperV or VMware Workstations, however, in case you don’t want to first boot & install ISO file to convert it to VDI or VDMK (virtual hard drives) format. You can use the pre-conversion method. Yes, this is the method in which we directly convert the ISO image file (.iso) into VDI (virtual disk image) format using VirtualBox. 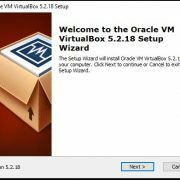 Not only to VDI but also using the same VBOXmanage tools of VirtualBox the user can convert the ISO image file to VDMK or VHD. It is also very useful to convert and use other format Virtual Disks in different Virtual Machines. After the conversion of ISO image to VDI, the user can directly boot the OS to install it converted VDI or VDMK format for admin or testing purposes. 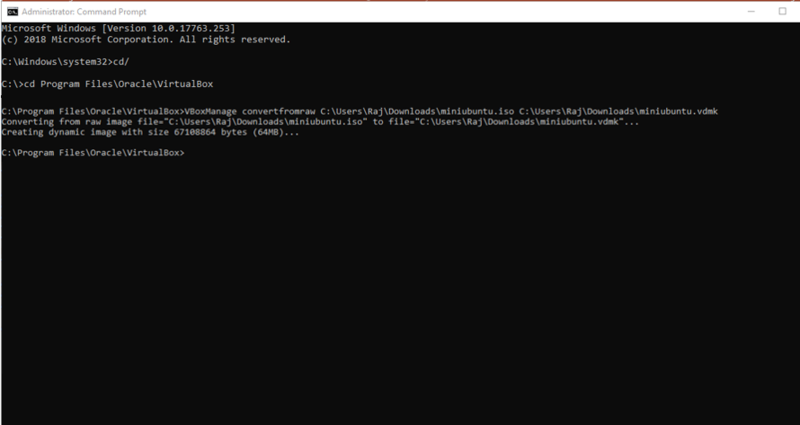 Here we are using the command line tool on Windows 10 but the commands given here are same for Mac and Linux systems too. So, to start the conversion first of all the VirtualBox should be installed on the system to use the VBoxManage command line too. 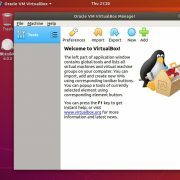 We are assuming that you have the VirtualBox software which is free and open source (FOSS) virtual machine creator tool. Find the command prompt for Windows and if you are using the Mac 0r Linux then open your respective command line tool. 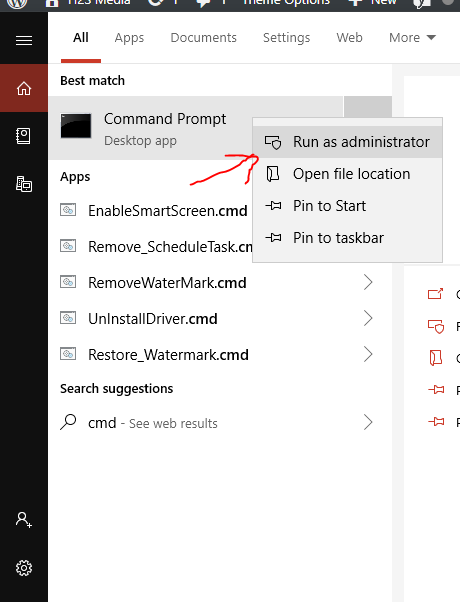 Run the Command prompt under the administrative right. Once you under the directory of VirtualBox, we can run the ISO to VDMK conversion command. Note: The filename should be replaced with the name of the ISO file along with the complete file path. 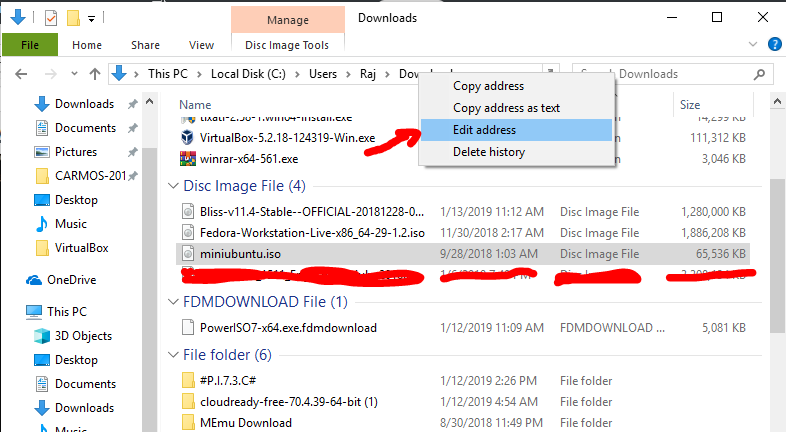 So, in our case, the ISO file was under the Download folder and the name of the file was miniubuntu.iso. So, the command was in this form. Right click on the Address bar and select the Edit address option. You will get the path of the folder where your ISO image resides. Just like the ISO to VDMK. 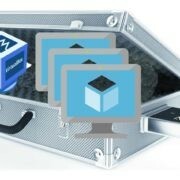 Switch to the VirtualBox directory as we have done above. In the same for other files too you can use the VBoxManage tool for Virtual Hard disk images to convert.